Exklusive private Whirlpool im Freien nur für Ihren Gebrauch. 2 Schlafzimmer, Whirlpool im Freien, Wi-Fi, Rayburn. Freistehendes Stein Häuschen mit zwei Schlafzimmern. Außerhalb Whirlpool im privaten Hof Garten nur für Ihren Gebrauch. Die Küche hat einen Öl-Rayburn für traditionelle Küche & Induktions Pad & Mikrowelle, wenn Sie in Eile sind! Unbegrenzte BT Wi-Fi. Schöner Garten mit Doppeltüren führen auf die zweite Terrasse Gartenbereich. Der perfekte Ort, um bei einem Kaffee oder einem Glas Wein & Uhren Pferde kommen und gehen zu entspannen. Das Badezimmer ist im Erdgeschoss. Es verfügt über eine Jacuzzi-Badewanne mit Champagner Eimer und separate Dusche mit Körper-Jets. Das Haus ist freistehend gegen Turpins Lodge Riding School, so werden Sie sehen, Pferde und Reiter vorbeifahren. We had a lovely stay here on an Autumnal October weekend. 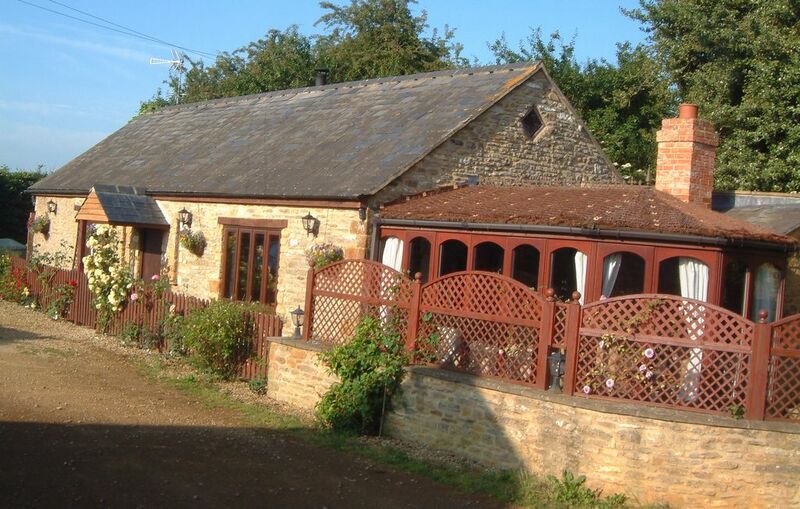 The cottage itself is in a great location with lots of great pubs, walks and villages near by. The hot tub was an excellent addition and was clean and in working order. Caroline was very communicative and helpful with any questions we had. mooie plek in Engeland. Fijn huis met ook luxe. Veel privacy maar altijd de kans om iets te melden of te vragen. Erg prettig. Thank you for your review. It was lovely to meet you both and your dog Otto. Are you worn out from the frenetic pace of London? Then look no further than this cottage in the Cotswolds. It is a great spot to explore the charming towns in this area. The surrounding area is absolutely stunning in spring with fields of yellow flowers.The cottage is super comfy and well equipped. The owners are very gracious and accomodating. Thanks so much for a great stay. We had a fantastic stay at Turpin Lodge..
What was brilliant was that for once the lodge was better than what the photos depicted!! Caroline came over and gave us a warm welcome and said we could contact her should we need assistance throughout the stay and then left us to enjoy her gorgeous little barn conversion. We loved it and will definitely return to take advantage of the beautiful countryside. Es gibt viel zu sehen und zu tun während des Aufenthaltes in der Hütte. Das Cotswold mit all seinen schönen Städten und Dörfern, Blenheim Palace, Oxford, Maasmechelen Village, Silverstone, Warwick Castle, Cheltenham sind alle innerhalb von einer Stunde.